Using a mobile device? Allow access to your location and follow your journey. Download pdf of the brochure to assist you on your journey. On your journey along the trail you will find signage at each location that details the structures date of construction, architect, original use and information about the structures history. Each location along the trail is specifically numbered to help you find you way from one location to another. 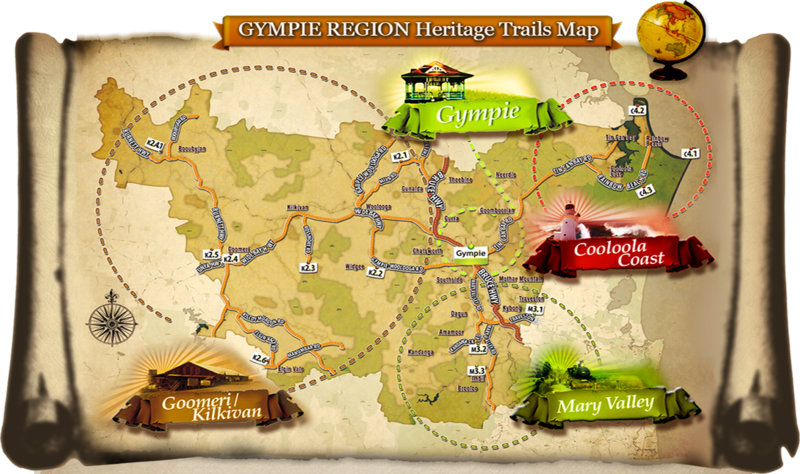 These numbers and locations can be viewed on the Gympie Heritage Trails website through Google Maps or within our brochure. Are you taking your journey with a smart phone mobile device? Why not browse the website and find out more about your location using the QR codes situated on the bottom left of the sign. 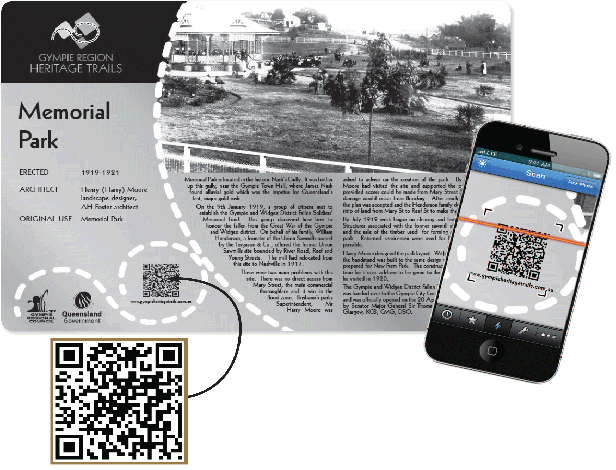 Open up your QR reader on your smart phone, hold your phone over the code to scan and you will have access to a range of information on your chosen structure.